NEXT | How did your Hearthstone: The Witchwood pack-opening go? The Battle for Azeroth alpha has been shaping up and seems to be pretty well-stocked with new mounts. 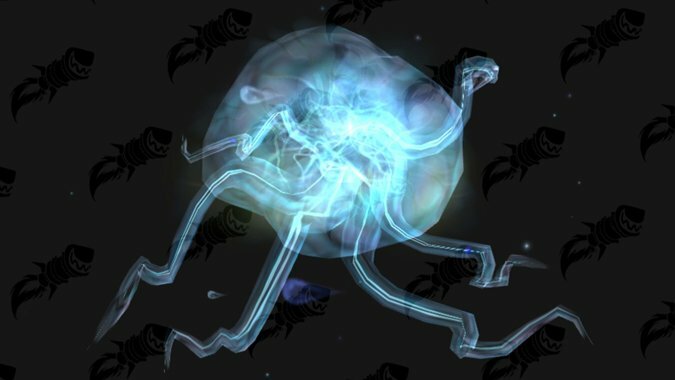 Wowhead has been keeping track of them all in datamining, and if you’re curious you can see the whole dang list right here. It’s actually a little overwhelming to see all at once. However, mount collectors look to be in for a grand old time next expansion. If you were wondering what The Best mounts are, don’t worry. We’ve got you covered, and it’s totally not subjective at all. Bees and parrots and frogs, oh my! First of all, that should be pretty explanatory. We get to ride bees. Bees, guys. 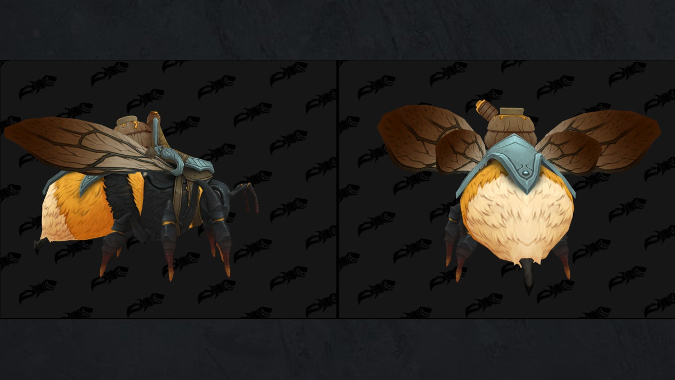 If bees aren’t your thing (though rest assured we’re all secretly judging you), there are other Thumbelina-esque mounts to ride, like the frog mount or a parrot for all your pirating needs. Never mind that pirates don’t typically ride parrots, this is the time to push forward with your Thumbelina/fairy pirate canon. The parrot, or more accurately Sharkbait’s Favorite Crackers, is a reward from Skycap’n Kragg in the Freehold dungeon. It’s unclear if this is a random drop from the boss or a reward for an achievement, though it may be both with the different color variations datamined. The frog mount seems to be part of a questline related to the Frog Loa Krag’wa the Huge. So maybe you don’t want to be a cool fairy pirate (still judging you). In that case, how about GIANT DINOSAUR MOUNTS. 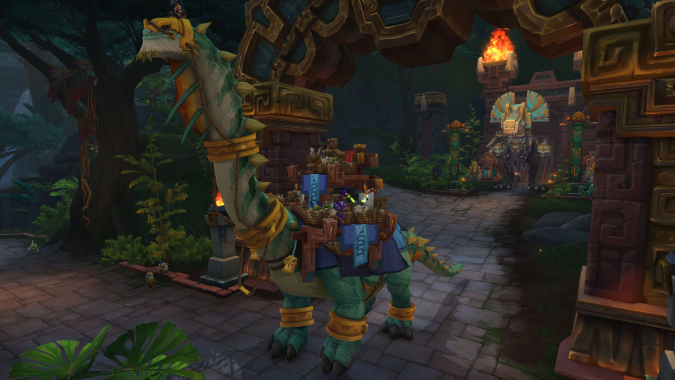 Yes, there’s a giant brontosaurus mount, which not only is it delightfully tall, but it’s also a multi-passenger mount to take your friends on nice, earth-shaking strolls through Zuldazar. They can carry multiple people and possibly may even contain NPCs, like the Grand Expedition Yak. Speaking of passenger mounts, The Hivemind is utterly ridiculous, which obviously means I must have it. I mean, seriously, flying jellyfish brain with your friends. Not only is it creepy and awesome, but it has a unique mechanic that increases mount speed depending on how many people you have riding with you. When people Join Hivemind, the mount speed scales 10% per person. Now, it’s unlikely you’ll be able to get your entire guild on one mount. Right now it appears that The Hivemind will be a multi-passenger mount, kind of like the yaks that can carry two others. Either that, or players with the mount will be able to link and increase their mount speeds together. It’s kind of like a creepy brain cavalcade. Getting back a little into the realm of normalcy, there are also some pretty cool faction mounts. For one, it appears we’ll get a faction-specific mount for participating in the great pre-patch fight that starts off the expansion. For Alliance there is a Night Elf-themed hippogryph mount, while Horde gets a Forsaken Undercity Plaguebat. There are also a slew of racially-themed mounts that appear to be Vicious Saddles for PVP. 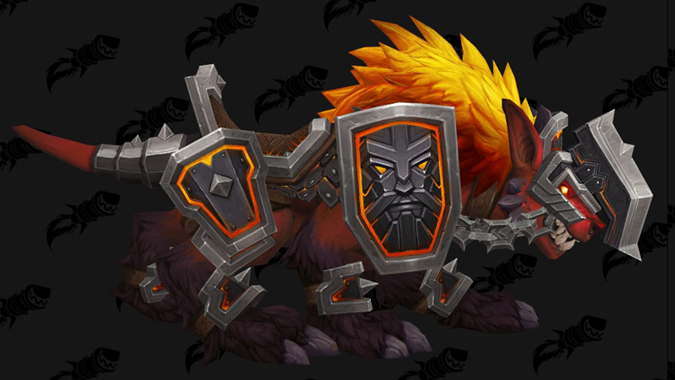 This includes but isn’t limited to a Dark Iron Dark Hound mount, and Mag’har Vicious War Clefthoof mount. There are, of course, a ton of other mounts like the updated horse models, donkeys, and PVP basilisks for both factions. Personally, I’m really looking forward to the brontosaurus mount, though The Hivemind is a close second. Which ones are your favorites?